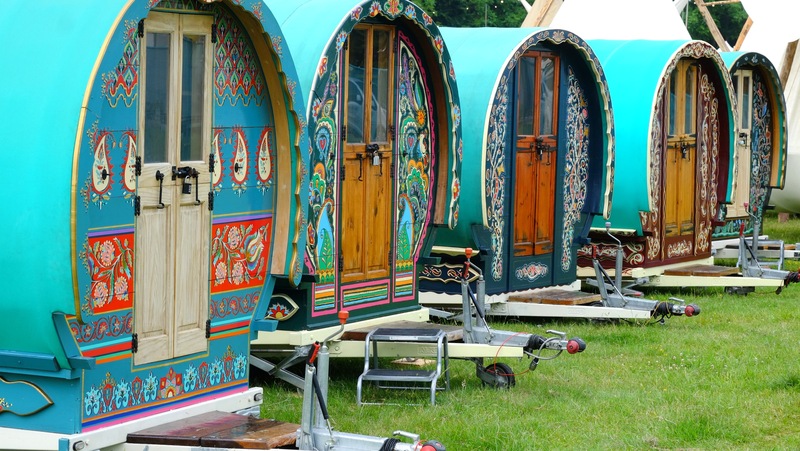 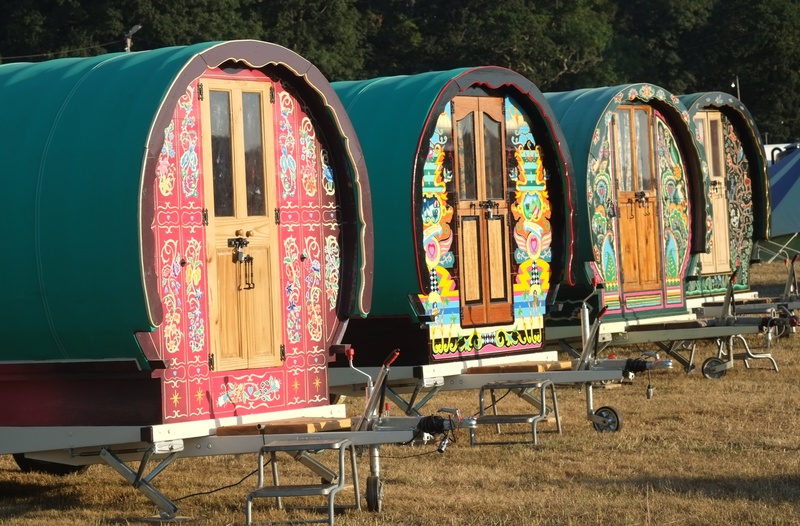 The ideal choice for those wanting a solid roof over their heads for the weekend, these beautiful hand-painted Gypsy caravans are the ultimate in bohemian chic. 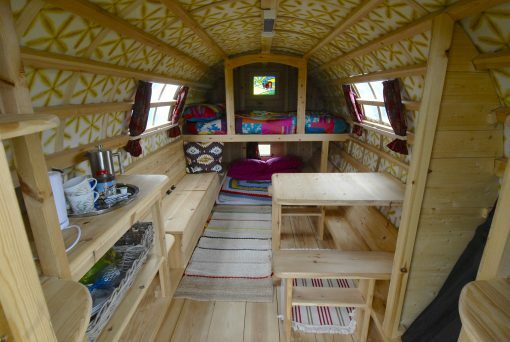 The unique, spacious interior sleeps four (2 x adults, 2 x children). Adorned by gypsy inspired bedding including cotton bed linen, duvets, pillows as well as patchwork and crocheted blankets, the Bowtops are cosy and comfortable. 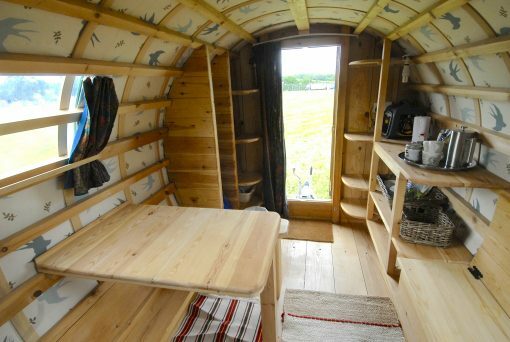 Each Bowtop has its own kitchen area with a table and chairs for dining.